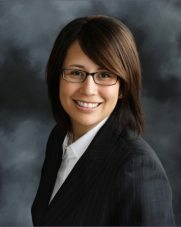 Dr. Carla Duff is a graduate of University of Missouri Kansas City dental school. She did her residency in Advanced Education General Dentistry at the University of Louisville in Kentucky. Dr. Duff is from a dental family in Wisconsin and has dreamed of becoming a dentist from a young age. She has volunteered her dental services to underserved children and adults in the United States and South America. Dr. Duff is a member of the American Dental Association, Missouri Dental Association, and the Greater Springfield Dental Society. She is committed to continuing education and keeping up with the latest technology. Dr. Duff is married to Dr. Jim Duff, a local physician for Mercy. They have four children who keep them very busy. In her free time she and her family enjoy camping, skiing, and travel. 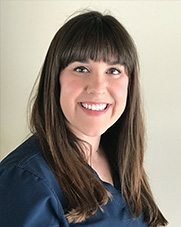 Dr. Whitney Bair is a graduate of the University of Missouri-Kansas City School of Dentistry. She is an alumni of Drury University where she completed her under grad studies. Dr. Bair is originally from Springfield, MO where she graduated from Kickapoo High School. She is an active member of the Springfield Junior League. In her free time, she enjoys spending time with her family including her fiancé Colin. She likes to volunteer in the community which routinely includes time at Isabel’s House. She also spends free time taking care of her 2 cats, Alice and Arnold. Dr. Bair is a member of the American Dental Association, Missouri Dental Association and the Greater Springfield Dental Society. Kelsey Wierman graduated from Vatterott College for dental assisting in April 2012. Kelsey worked with Dr. Duff during her internship for several months before graduating. Kelsey volunteered at the Kitchen Clinic Inc. throughout her schooling and hopes to do more volunteer work in the future. Kelsey Wierman grew up in Seymour, Missouri and loves spending time outdoors. She has a variety of hobbies which includes painting, reading, and shopping. Kelsey always loved visiting the dentist which ignited her interest in the field of dentistry. Dominique Reed graduated the Ozarks Technical Community College dental assisting program in May 2007. Dominique has been a dental assistant in the Ozarks for about four years and North Carolina for one year. Dominique graduated the Missouri Southern State University dental hygiene program in May 2012. Dominique had the opportunity to participate at MoMom’s in 2011 and enjoys being involved in the community. Dominique Reed is originally from Gainesville, Missouri and loves spending time with her family. She also enjoys fishing, floating, and riding four-wheelers with her boyfriend, Justin. Dominique always knew she wanted a profession in dentistry; especially after wearing braces for three years and having a skin graph completed.